This post is a special one and quite different from other posts that you will see on this blog. In this blog post I will not discuss about any specific money making technique. 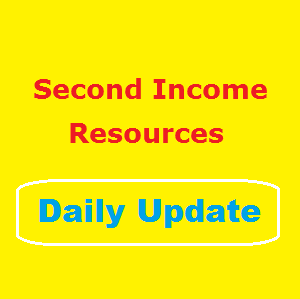 Instead I will regularly update this post with online money making resources that I will be finding. Using these methods, you can make money online. to help you out. I will be browsing different websites, forums etc to find the best online resources which will make you money. Certainly I have more experiences when it comes to figure out the legitimate online income resources. That will surely save some vital time and efforts from your part. SEOClerks: You can make money by selling SEO services. If you have your own websites, you can also buy these services and boost your earning from website. PTC: I am currently using Neobux and Clixsense. I have already got payment from both websites. TextBroker: This is a extremely useful website if you enjoy writing. Microworkers: You can get paid for doing various small jobs. Additionally it is a nice place for webmasters looking to outsource their work. Clixsense has decided to quit their PTC business altogether. And it would effect from 17th July, 2017. Although the admin cited non profit issue for this discontinuation. However according to the industry source, the website was hit hard recently when PayPal decided to ban their account. Although their other offers including tasks, survey etc will continue. Lets see how this transition affects Clixsense's business model which was the oldest PTC website online. Another PTC website Neobux also faces the dust of PayPal. However unlike Clixsense, they are not discontinuing their PTC section. Due to the recent situation, it seems hard for the advertisers and publishers to buy cheap advertisements for their campaign; specially with their PayPal balance. I am signing off today. I will update this post when I find some new and legitimate websites. Also if you know more websites that can be included in this post, let me know by commenting. If that website meets the requirement, I will include here.